Would the last human being on Earth who still buys CDs please wave the flag? OK, it's me, and about a zillion guys in their 40s with grey hair, receding hairlines, and (not me!) pony tails. 1. 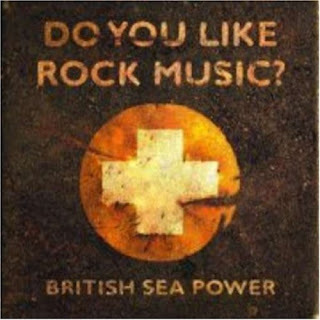 British Sea Power - Do You Like Rock Music? The best album by Britain's Arcade Fire is the best CD of the year; big melodies, crashing symbols, screeching guitars, and two hit singles: Waving Flags and No Lucifer ("Easy! Easy!). Play it on your iPod at the Nonsuch exhibit at the Manitoba Museum to double your pleasure. And chew on some Doublemint Gum if you want to...aw, forget it. A guilty pleasure since 1979 or earlier, Sparks has somewhat abandoned its synth-pop/disco origins and made its third classic rock/opera/comedy album in a row, over 30 years after forming. Queen, Jellyfish, and the Darkness wish they were this good. Check out "I've never been high." Key lyrics, "Maybe I'd try it/If I could buy it/But my connections aren't what they once were." Happy round-songs have a way of dividing people: either you love them and want to sing along, or hate them and want to kick the skulls in of everyone around you singing along. "Row, row, row your boat gently down the...thwack." The husband and wife team of Mates of State (don't hate me for saying this) are a two-piece version of what might happen if ABBA met the New Pornographers, and they have more round songs than any other band in history. Who can turn the world on with a smile? Who can take a nothing day and suddenly make it all seem worthwhile? Mates of State! And the goofy video for "My Only Offer" makes me love them even more. Everybody! "Uh-uh-oh, it's my only offer..."
I saw them in Minneapolis last year and they rocked my nerdy sci-fi brain. Are you ready for the floor, sci-fi nerds? And, yeah, and while we're at it: I have to admit that I watched Close Encounters of the Third Kind three times this weekend..."Who are you people!?" I saw Neil at MTS Centre this year, and he was far too good for the geriatric patients and clinically dead people who managed to drag out their sorry carcasses to the show. Kudos to Winnipeg's unknown "solitary man" himself, who excitedly danced by himself at the front of the arena for the duration of the show, much to the chagrin of the overly-rabid security guards who teleported in from Footloose: "No fun allowed!" Diamond is the Jewish Elvis, and if you don't believe it, just take one more bite of the apple. At once daring you to "rumble in my jungle," and promising that "you can't handle me," this was the best Madonna album that Madonna never recorded. Apparently, Madonna felt the same, inviting Robyn to open for her on her "anorexic, breakup, plastic surgery, A-Rod" tour this year. Robyn performed Cobrastyle on Letterman and - call me old fashioned - but I love to see a bear in a suit. Aww, Dave, you never get old. What is this? Rap? Alternative? Soul? Rock? Pop? Or some completely new hybrid we have to call "good?" This album is even better than its much-heralded predecessor, and I'll probably like it even more about six months from now. The sombre pop of Songs For Silverman behind him, Folds returned to form with a Tour de Force of ironic, (some would say offensive), pop songs for the dumped. Love the woman singing along on the YouTube link..."the b**** went nuts - she stabbed my basketball!" Releasing two albums in its first year, the delightful Los Campesinos! wished themselves dead on their very first single. Hey, the classic "cute girl, ugly guy" rock & roll archetype still works. Long live Shane MacGowan and Sinéad O'Connor! Buckingham releases great CD after great CD, year after year. A master of songwriting, singing, playing, and production, there's nothing not to like about this guy. Is it just me, or does "Did you miss me" sound a lot like "check your resumé?" Insert the Stevie Nicks joke of your choice here. Good audience banter, to boot. Coming soon: the best songs of 2008.